Subglacial lakes are exciting. Volumes of liquid water situated beneath the surface of the Antarctic Ice Sheet, scientists have only begun to make first attempts to explore them. The more than 350 currently known to scientists are of all shapes and sizes - some as large as one of the Great Lakes in North America - and lie at various depths beneath the surface of he Antarctic Ice Sheet. These environments – where light cannot penetrate and have been isolated from the outside world for millions of years – have the potential to be home to species completely new to science. Having been isolated for so long, these species that may have evolved unique characteristics to live in such extreme environments. Extracting sediment cores from the bottom of these subglacial lakes can also can also shed more light on history of the Antarctic Ice Sheet, which may inform us on its sensitivity to environmental change. 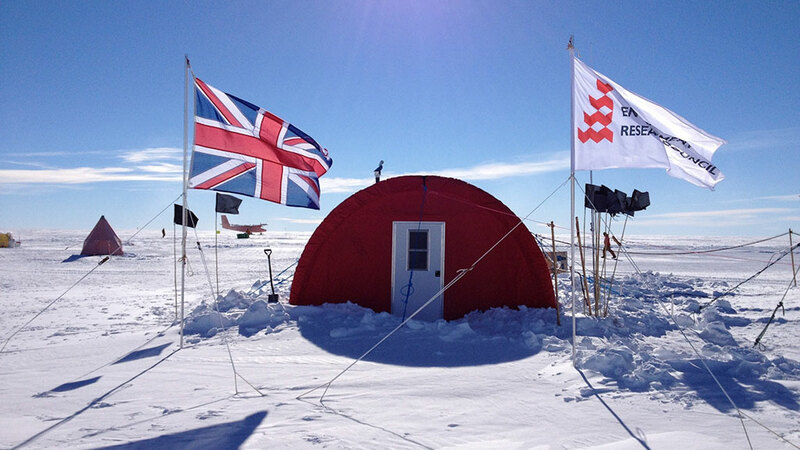 During the austral summer of 2012-2013, a team of British scientists travelled to the middle of the West Antarctic Ice Sheet with the goal of drilling down to Lake Ellsworth, a medium-sized subglacial lake located 3.4 km beneath the ice, using a hot water drill. Their aim was to take water and lake sediment samples from an environment that is believed to have been isolated from the outside world for millions of years. Unfortunately, due to complications, the drilling team had to abandon their efforts to penetrate Lake Ellsworth. Principal investigator for the project, Professor Martin Siegert from the Univrsity of Bristol, explains how the team is moving forward preparing for an eventual second attempt to reach Lake Ellsworth. First of all, congratulations on winning the Martha T. Muse Prize for Science and Policy in Antarctica. Could you explain how you intend to use the grant money you've been awarded? As you know, our attempts to explore subglacial lake Ellsworth during the 2012-13 Antarctic summer research season weren't successful. We're currently examining the technical reasons why we weren't able to undertake that work. From these discussions, we've found that we need to take several steps backwards in order to fully understand how to go forwards again. The Martha T. Muse Prize gives me the flexibility to invest the necessary time and effort to reconfigure the Lake Ellsworth drilling project and get it moving forward again. Are you planning to make another attempt at drilling into Lake Ellsworth in the next few years? The past 12 months have been interesting and challenging for us. We didn't expect to have to think about the technical problems with the drill. But we’ve had to face the disappointing reality that it didn’t work. Since we’ve returned from Antarctica, we’ve been having meetings with the engineers who designed the drill and other technical specialists to understand how we can configure the drilling to make sure it works next time. There were risks that certain techniques used in the drilling operation might not work. I think it's fair to say that, when we went into the field the first time, we didn't fully appreciate these risks. But now we do. Understanding the risks is part of the solution, and what we have to do is determine a response to those risks. We've been working with engineers to identify the risks and devise ways to mitigate these risks or find ways around these risks, so that when we do go back to Lake Ellsworth, we don't repeat the failure. It's easier said than done, though. We initially thought that if we fixed a couple of things, we could return to Antarctica in maybe two year's time to make another attempt. But what we've been finding is that in addition to fixing the critical parts of the drilling programme that went wrong, we also should take the opportunity to modify other elements of the drill, to increase our chances of success. This will take more time to do, however. So my expectation is that it might be five years before we're able to go back and make another attempt at exploring Lake Ellsworth. From what I understand, the drilling last season didn't work because, using a hot water drill, you tried to create an artificial reservoir next to the main drill shaft some 300 metres down in the ice sheet and then connect it to the main drill shaft down to Lake Ellsworth as a way of re-circulating drilling water back to the surface. Why didn’t the technique work? The problem is that we weren't able to make the connection between the main hose of the hot water drill and the reservoir we built underneath ourselves. That was a single-point failure in the drilling procedure. We didn't make that connection in the way that we had foreseen. And so we couldn't proceed. Before going there, we had highlighted that as being a risk. But the engineers who were working on the drill design considered the risk of not making that key connection to be very low. The risk turned out to be much higher in the end. So what we’re working on now is how to eliminate the risk of not connecting the reservoir with the main drilling shaft. We can either design the experiment to ensure that you'll make the connection next time; or we can design an experiment where we don't need a secondary reservoir at all. We're discussing options with the engineers to determine the best solution. Are you also in discussions with other subglacial lake drilling teams from Russia and the US? We have been for some time. We've been speaking to the international community at large ever since subglacial lakes have become interesting from a scientific perspective, from the perspective of potentially having extremophile life, and for climate change records from the sediment at the bottom of the lakes. I've been talking to Russian and American colleagues. There's been a lot of communication and discussion between the various programmes. But outside of the official programmes sponsored by the British, Russian and American research institutions, there are a lot of people with experience and skills who are interested in subglacial lakes. We've been talking to them for some time as well, through the Scientific Committee on Antarctic Research (SCAR), as well as at conferences. 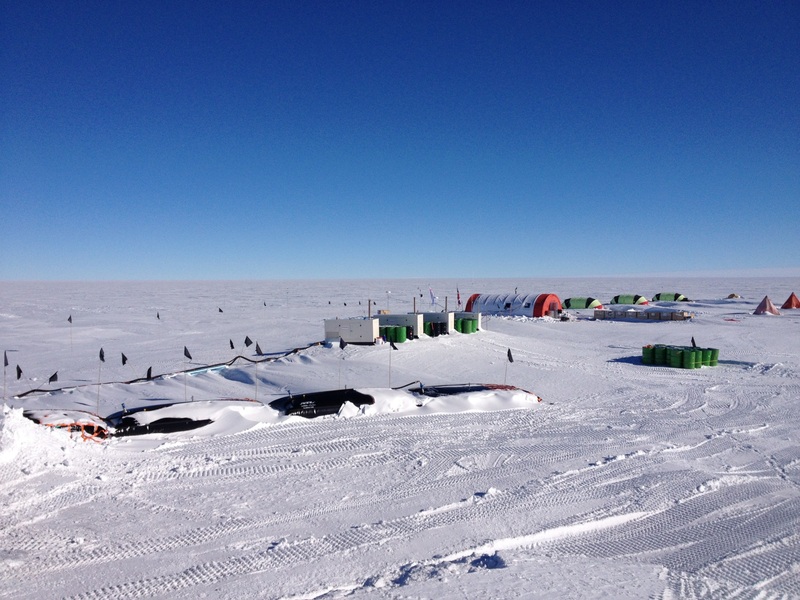 The subglacial lake community is well connected via the research we do and the meetings that take place. I organised the last international meeting on subglacial lakes in Baltimore in the US, and I'll be chairing the next meeting which will be held in London in 2015. 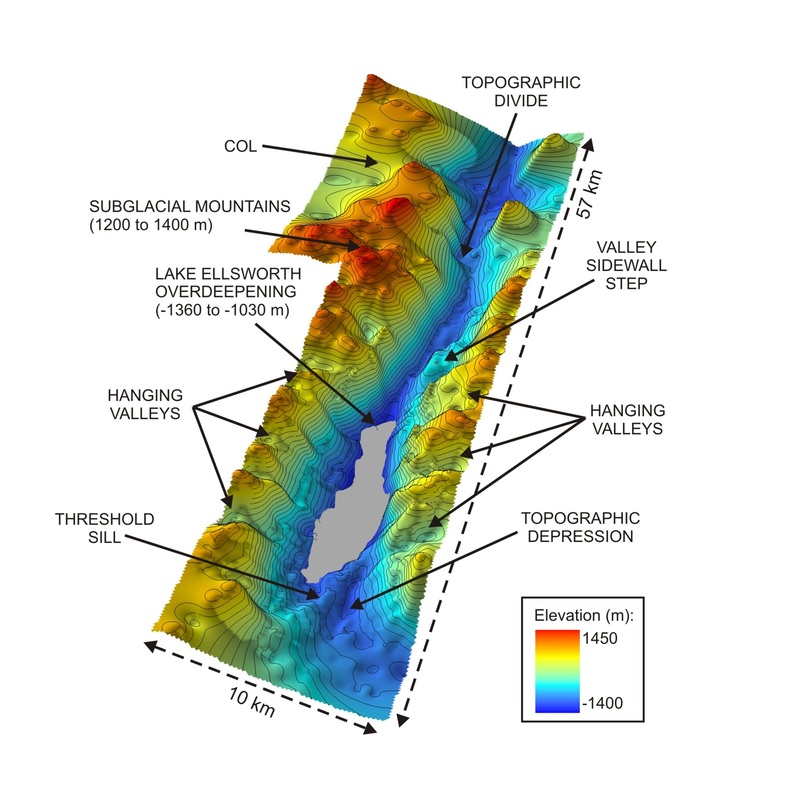 Does the Lake Ellsworth project have objectives beyond simply penetrating the subglacial lake and taking samples? The technology we need to access subglacial environments deep beneath the Antarctic Ice Sheet – we haven’t sorted out the technology to do that yet. What’s driving us isn't just a desire to explore Lake Ellsworth. Antarctica is mostly an unexplored continent from a scientific perspective. To fully understand Antarctica, we're going to need to get direct measurements and samples – whether it's a exploring a lake or the geology of the bedrock of the continent underneath the ice sheet. However the Antarctic Treaty stipulates that we have to take samples in such a way that the environment of anything underneath the ice, including subglacial lakes, is not contaminated in the process. As of now, we don't have the technology to have reliable, clean and rapid access to subglacial Antarctica. We need this technology not only for exploring subglacial lakes such as Lake Ellsworth, but also for all the other research that needs to be done in Antarctica over the next 10 – 20 years. What kind of research are scientists planning over the next 10 - 20 years? We need to learn more about the geology of the continent. We need to obtain climate records, and we need to explore the unique life that might be contained in subglacial lakes. We can get some information form the ice surface via radar to map out the landscape beneath the ice (I’ve been involved in a number of those studies, including the US-UK-Australian-French ICECAP project). But to really comprehend what the landscape underneath the ice is like and how it's reacting, we have to get a better understanding of, for example, the physical properties of the rock beneath the ice. We need to know their composition, how hard they are, etc. In order to get the right kind of samples, we need to engineer a clean way to get to the bottom of the ice. The Antarctic Treaty System has recently ratified a code of conduct regarding subglacial access. It simply states that if scientists are going to access the subglacial environment in Antarctica - whether it be lakes, rivers, mountains, valleys beneath the ice - we’ll have to do it in a manner that doesn't contaminate the subglacial environment. The only clean subglacial access technique we currently have is hot water drilling. 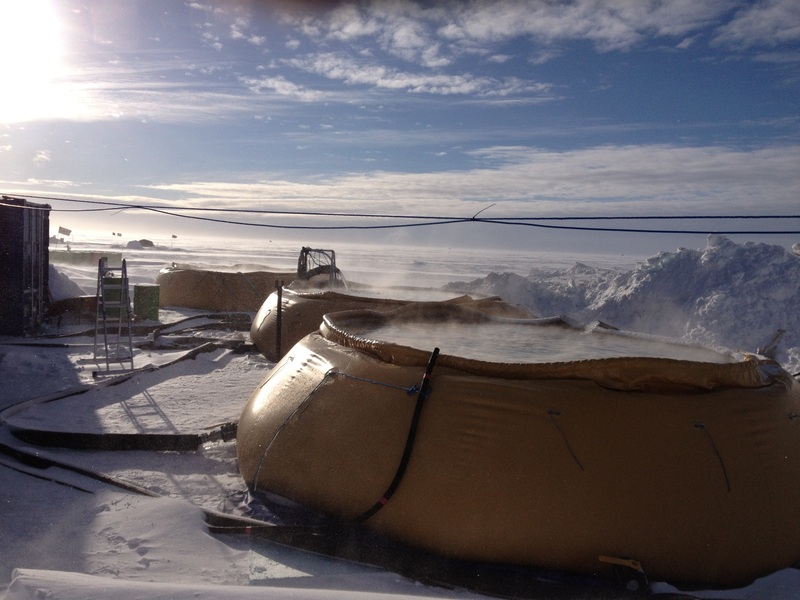 The technique has been used successfully to penetrate subglacial environments, as in the case of the Lake Whillans project during the 2012-2013 season. But the technique in its current form can only work up to a certain depth. The kind of drill that can access a deep subglacial environment hasn't been invented yet. We haven't developed the right technology yet. So there's a technological drive to get this done with a view to the next 20 years in Antarctic research. What about in the case of the Russian team who reached the subglacial lake below Vostok Station and took samples? Lake Vostok is the deepest and largest subglacial lake we know of in Antarctica. Its surface is 4 km below the surface of the ice sheet. However the Russian team used ice coring methods - which use kerosene - to reach the lake, so there was a concern the samples could have been contaminated. The Russians had an opportunity to explore Lake Vostok. The Russian research station Vostok sits on top of the southern extreme of the largest known subglacial lake in Antarctica. 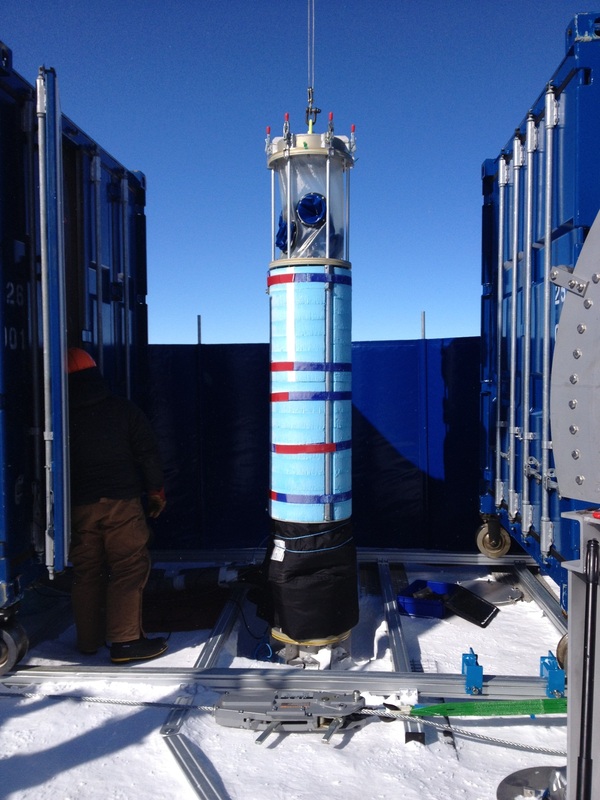 Scientists had been drilling ice cores to get climate records at Vostok since the late 1960s. However in the 1990s, they discovered that the station sits on top of a massive subglacial lake. It was only in 1996 when the Lake Vostok paper came out in Nature, that they realised the potential research that could be done on Lake Vostok. Since the deep ice core they had been drilling anyway was above this lake, they decided it was a unique opportunity, and they decided to drill from the base of the ice core just a little bit further down to reach the surface of Lake Vostok, and the succeeded in doing that in 2012. But it's very difficult to use ice core drilling technology in a clean way. They used a lot of kerosene to drill the ice core, which means you risk contaminating samples you take. So from a cleanliness perspective, it’s a real challenge. If you ask the Russians if they would want to repeat the same kind of drilling at other parts of Lake Vostok - it’s a massive lake and they might want to sample different parts of it in the future - they probably wouldn’t advocate using ice coring as a technique to access the lake again. Ice coring takes too long and is too expensive. It took more than 20 years from the time they started drilling the ice core to the moment when they reached the lake. The Lake Vostok drilling was a unique one-off opportunity that happened to be available. However ice coring isn't a feasible technique to access the subglacial environment in other parts of the lake. What about the American drilling project at Lake Whillans? They were able to get through to the subglacial lake and take clean samples. The circumstances were different between the Lake Whillans programme and the Lake Ellsworth programme. The subglacial environment of the two lakes is completely different. Lake Ellsworth is in the middle of the ice sheet and lies beneath 3.4 km of ice. Lake Whillans lies at the edge of the West Antarctic Ice Sheet, under relatively thin ice – only 800 metres or so beneath the surface. And the ice margin (where the ice sheet ends and the Ross Ice Shelf begins) is only a few kilometres away. Lake Whillans is also an ephemeral subglacial lake. Water gushes into it periodically and then drains into the Ross Sea. Satellite images of the ice surface in the region show that the surface rises and falls periodically. This indicates that water flushes in and out regularly. Therefore Lake Whillans is not going to be a lake that contains an ancient ecosystem like Lake Ellsworth or Lake Vostok, which have likely been isolated from the outside world for hundreds of thousands of years. Lake Whillans is a great place to take water samples. My colleagues have done that and I'm very keen to see the results. But from an ecosystem perspective, it's probably not the best target. Subglacial lakes closer to the centre of the ice sheet are more likely to be much deeper and hold these ancient ecosystems. And to give you a size comparison - Lake Ellsworth is about 160 metres deep, while Lake Whillans is not even two metres deep. And Lake Vostok is massive. It's over 200 km long, and as much as 1000 metres deep in some places. It's about the same size as Lake Ontario in North America. Lake Ellsworth is somewhere in between Lake Whillans and Lake Vostok in terms of size. Lake Ellsworth is like Lake Vostok in that it's encapsulated by high bedrock topography, is relatively deep, but nowhere near the size of lake Vostok. So Lake Ellsworth is a different kind of lake than Lake Whillans. There are a different set of scientific priorities, although there are overlapping technical issues and scientific interests. 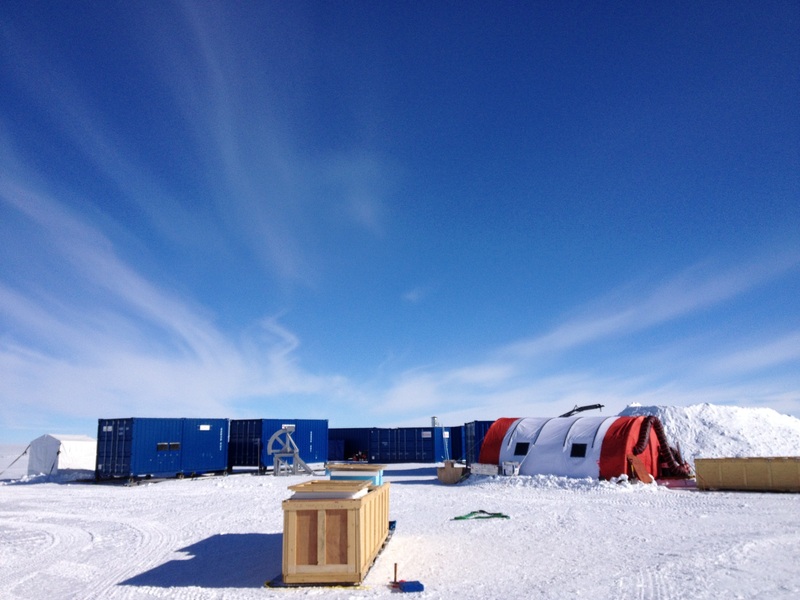 Regarding the technical issues, they used a hot water drill to penetrate the ice sheet down to Lake Whillans. Yes. They were able to demonstrate that you can use a hot water drill to penetrate the ice sheet to access a subglacial lake 800 metres below the surface. Hot water drilling has been used down to 2,000 metres on several occasions. But the problem is that the effectiveness of the technique doesn't scale in a linear manner the deeper you drill into the ice. Going form 800 metres to 2,000 metres deep is plausible. But going from 2,000 metres to 3,000 metres hasn’t been done so far. That's what we were trying to do when we were drilling to Lake Ellsworth. We're currently working with our engineers to work out what we need to do in order to drill down to the depth that we need - 3.4 km below the ice surface. You’ve done quite a lot of education and outreach for the Lake Ellsworth project. Could you tell us about what kind of activities you've done? The Lake Ellsworth project has been a fabulous project to be involved with in terms of outreach in terms of getting school children involved and getting them interested in the science behind the project. Our aim was to broaden the appeal of the project. Our focus is the science. But we can use the fascination people and especially children have about Antarctica and the Lake Ellsworth project to educate them about a lot of other things, like the technical challenges of working in Antarctica, what the logistics are like there, the process of setting up a research programme – all of these other things that we're trying to build around the science we're trying to do. We have a brilliant website for the project that's been set up. We've had loads of communication with school kids. We had school competitions about naming the probes we were going to use. We also had kids draw pictures of what they thought extremophile microbes in Lake Ellsworth might look like. We've had an amazing amount of public response to the programme as well. Although we still have to do the science, the media campaign and the public awareness campaign about the science we wanted to do was completely fulfilled in our programme. We're really pleased by that, and we hope to continue that as the project moves forward. But we can’t propose to do this kind of outreach work again until we're absolutely certain that we can accomplish the drilling. Once we get a roadmap for the next attempt, we'll re-activate the public outreach part of the Lake Ellsworth project. Martin Siegert is Director of the Bristol Glaciology Centre at the University of Bristol. He is a glaciologist specialising in the measurement and modelling of large ice sheets. He was recently Head of the School of GeoSciences at the University of Edinburgh, Chair of the UK National Committee on Antarctic Research, and UK delegate to the Scientific Committee on Antarctic Research (SCAR). He is the lead Principal Investigator of the UK-NERC Lake Ellsworth consortium.